A long time part of the Bloor-Yorkville streetscape are the distinctive, decorative blue lampposts, which are owned by the BIA. Unfortunately, on occasion, lampposts are damaged or destroyed by trucks and other vehicles. The cost of replacing a lamppost ranges from $16,000 to $21,000, which is a cost to the BIA, if we cannot source the party who did the damage. We would like to thank those members who have informed us when one of the BIA lampposts is knocked down or damaged. Being notified, as soon as an incident occurs helps us recover the costs from the offender. It is especially helpful, if we receive information about the vehicle to include the licence plate information, make and model. 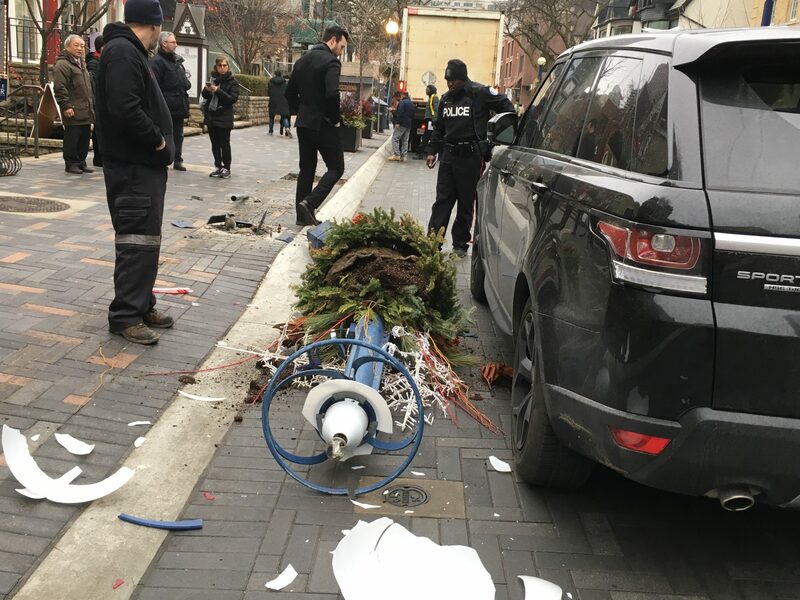 We ask that you continue to report any incidents, by calling Brian Rice, in our office, at 416-928-3553 ext.26, or email information to urbandesign@bloor-yorkville.com, after business hours, contact the police at 416-808-2222.